Nessuna grande sorpresa ieri sera, alla 57esima edizione dei Grammy Awards, gli oscar della musica, se non per un'inaspettata Katy Perry, che rimane a secco di premi. I superfavoriti Sam Smith, Beyoncé e Pharell Williams trionfano come da pronostico. Ieri sera infatti, Eminem ha vinto il suo 14esimo e 15esimo Grammy Award, confermandosi ancora una volta un mostro sacro dell'hip hop, vincendo nelle categorie Best Album con The Marshall Mathers LP 2 e nella categoria Best Rap song/ collab con The Monster, in collaborazione con Rihanna. Record of the Year: Sam Smith – Stay with Me (Darkchild Version). Song of the Year: Sam Smith – Stay with Me (Darkchild Version). Album of the Year: Beck – Morning Phase. Best New Artist: Sam Smith. Best Pop Solo Performance: Pharrell Williams – Happy (Live). Best Pop Duo/Group Performance: A Great Big World feat. Christina Aguilera – Say Something. Best Pop Vocal Album: Sam Smith – In the Lonely Hour. Best Traditional Pop Vocal Album: Tony Bennett & Lady Gaga – Cheek to Cheek. Best Rap Performance: Kendrick Lamar – I. 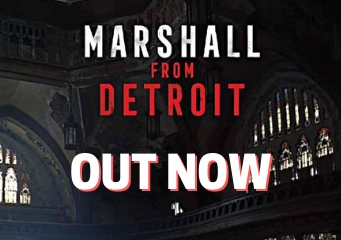 Best Rap Album: Eminem – The Marshall Mathers LP2. Best Alternative Music Album: Jack White – Lazaretto. Best Rock Album: Beck – Morning Phase. Best R&B Performance: Beyonce ft. Jay Z – Drunk in love. Best R&B Song: Beyonce ft. Jay Z – Drunk in love. Best R&B Album: Toni Braxton & Babyface – Love, marriage & divorce. Best Rock Song: Paramore – Ain’t it fun. Best Country Album: Dierks Bentley – Riser. 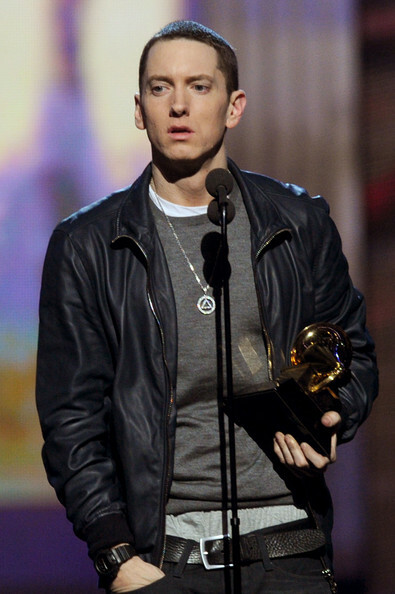 Best Rap/Song Collaboration: Eminem ft. Rihanna – Monster. Best Rap Song: Kendrick Lamar – I. Best Country Song: Glen Campbell – I’m not gonna miss you. Best Country Duo/Group Performance: The Band Perry – Gentle on my mind. Best Country Solo Performance: Carrie Underwood – Something in the water. Best Urban Contemporary Album: Pharrell Williams – GIRL. Best Dance/Electronic Album: Aphex Twin – Syro. Best Dance Recording: Clean Bandit ft. Jess Glynne – Rather be. Best Latin Pop Album: Ruben Blades – Tangos. Best Compilation Soundtrack for Visual Media: Frozen. Best Music Video: Pharrell Williams – Happy. Best Music Film: Darlene Love, Merry Clayton, Lisa Fischer & Judith Hill – 20 feet from stardom. Best Reggae Album: Ziggy Marley – Fly Rasta. Best Americana Album: Rosanne Cash – The river & the thread. Best Spoken Word Album: Joan Rivers – Diary of a mad diva. Best Gospel Album: Erica Campbell – Help. Best Rock Performance: Jack White – Lazaretto. Best Metal Performance: Tenacious D – The last in line.